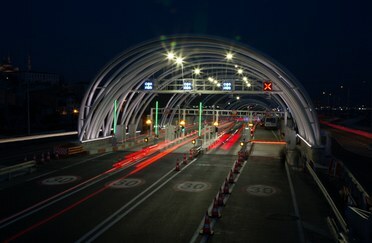 Transport is one of the areas where new lighting technology can have the biggest impact. There may be controversy about the quality of some LED streetlight upgrades, but if the technology is used right, it brings improvements across the board: better quality light, easier to control, longer lasting, more environmentally friendly, and less light pollution. The LED optics we’ve developed at Thorn recently have helped us do some pretty impressive things with LED. 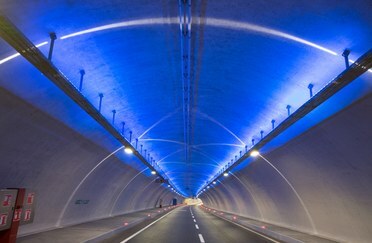 For the three-mile-long Eurasia Tunnel in Istanbul, we provided a customised combination of lenses and optics that cut the number of luminaires required by several hundred, reducing upfront and ongoing costs for energy and maintenance, while minimising glare so the tunnel is comfortable and, above all, safe for drivers. Wireless control and the internet of things (IoT) is another really exciting development, and it’s getting easier and easier to install futureproof products that allow intelligent features to be added or activated at a later date. For instance, the lighting solution we recently provided to the city of Copenhagen is wireless, and ready to incorporate IoT functions. Sensors and cameras that gather data can help keep transport networks safe, respond to incidents, manage traffic, deal with weather conditions, and enable preventive maintenance. To browse through some of our transportation projects click HERE. Want to know more about IOT and connectivity? Then VISIT our sister brand Zumtobel Group Services.